No new post today (nor next week) per se, but I wanted to show you how the cover for issue 1 came out. I colored it a bit on “a rush” to meet a deadline for a show about a month ago here in Mexico. But the intention is to have my friend Alonso Espinoza (whose work you can check here and here) to color them in a more interesting way. Still, I like how it came out. 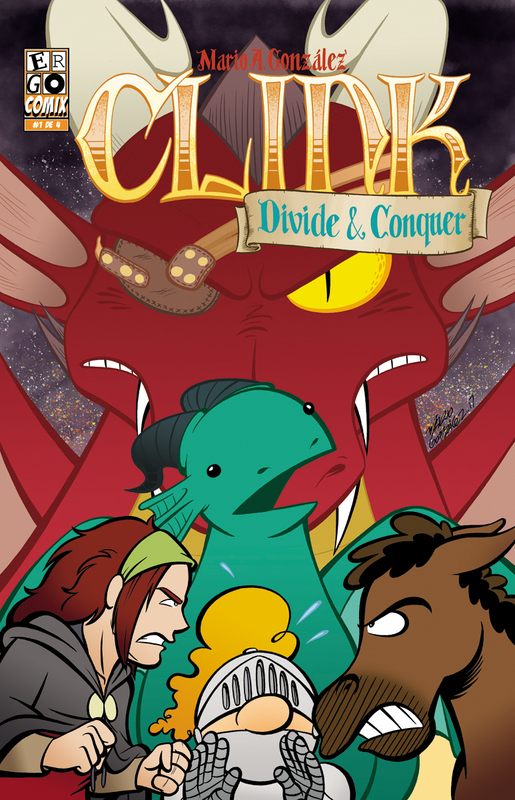 I’m printing Divide and Conquer as a “regular floppy comic” just to have something more accessible at conventions to sell (the collections are $19, as this one is only $3). Still, once I finish the four issues, and after a few months pass, I’ll collect the whole story, IN COLOR, on a trade paper back. We’ll see how it goes. It’s an experiment to “go back” to a more traditional comic book format for printing the final product. If you want a copy of issue 1, I can totally print out a copy and snail mail it to you.